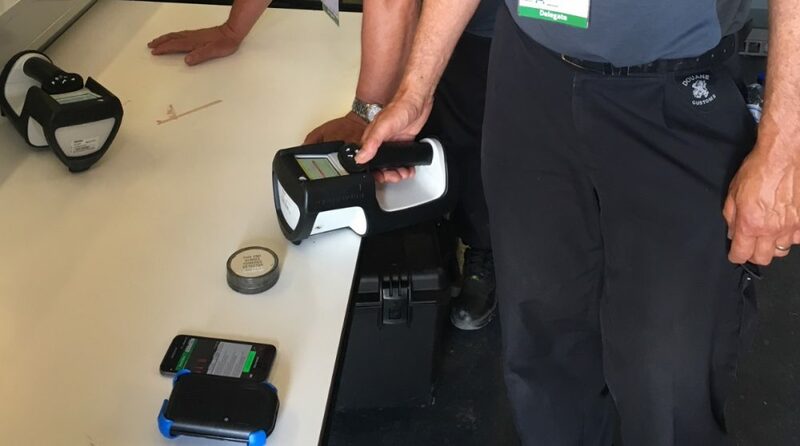 Officers from Dutch Customs (while at NCT Europe) did a side-by-side comparison of the D3S wearable RIID versus conventional RIID using their standard issue conventional heavy handheld RIID. Their views was that the D3S is as sensitive as a conventional RIID but smaller, lighter, simpler, cheaper and much more discreet in operation than a conventional RIID. Everyone is surprised at the speed at which the D3S identifies isotopes: “wow very fast” is the most frequent comment. 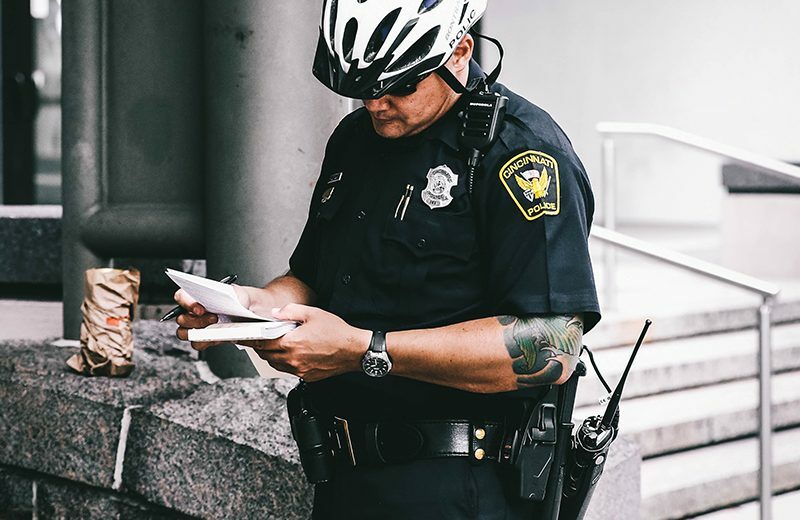 Some of their colleagues who use conventional large, has-to-be-pointed-to-source RIID rad detectors, have said they don’t expect any ID in less than 30 seconds. Normally they would do the scan for 5 minutes. 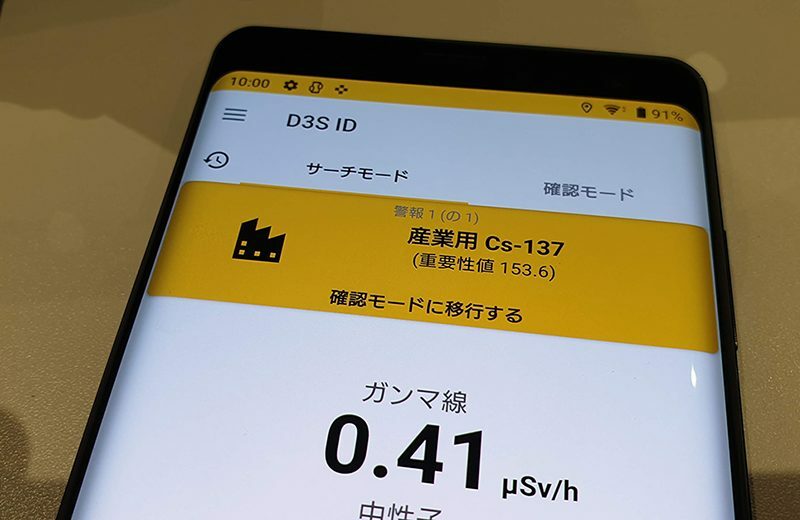 You can see from our live demos that the D3S identifies radioisotopes in as little as three seconds and can quickly distinguish between many different sources. 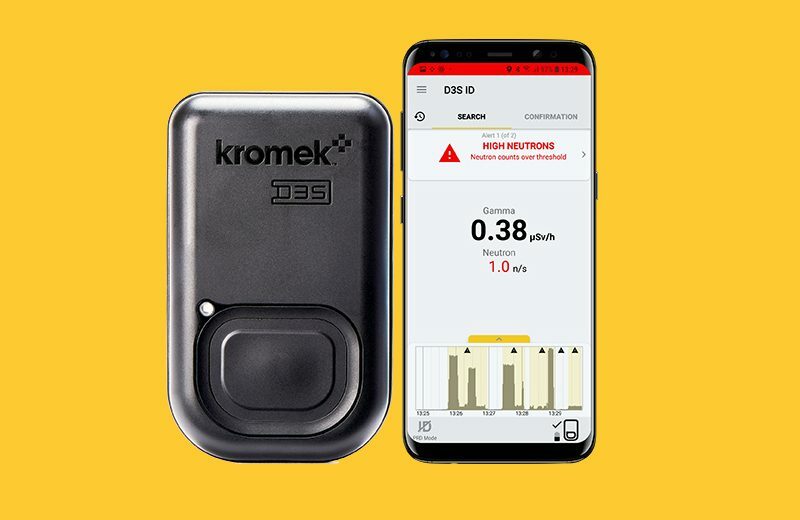 The small size, light-weight, easy-to-understand display, voice announcement of isotope identification, the relatively low cost and hands-free operation make the D3S perfect for radiation security use by Homeland Security, military, hazmat, border patrol, counter-terrorism and law enforcement. 10,000 units already deployed in the United States of America, used in various NATO summits and others high profile events.